The week of traditional cup racing that precedes the International 5.5. 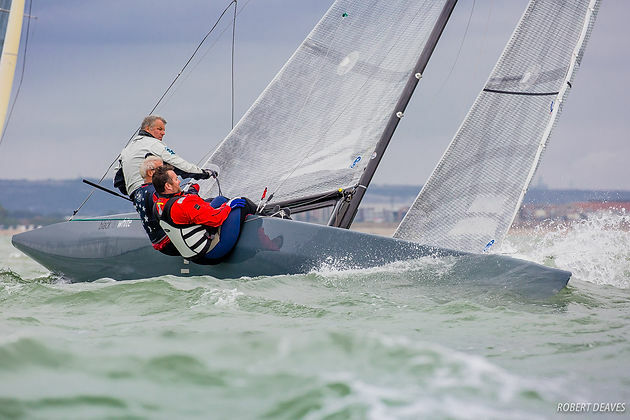 Metre Class world championship concluded on Saturday with a stiff south-westerly giving everyone a final shakedown before next’s week’s main event. 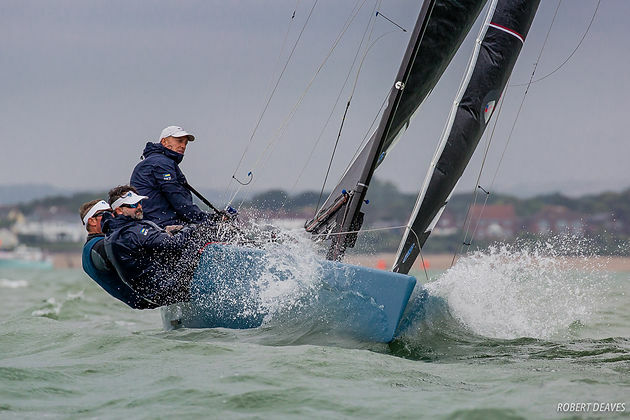 Having already won the Scandinavian Gold Cup on Friday, Artemis XIV, NOR 57, (Kristian Nergaard, Kristoffer Stone, Trond Solli-Saether) turned out Saturday for the second day of the King’s Cup. 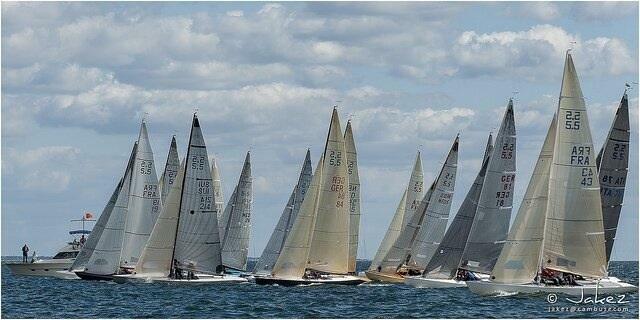 The King’s Cup has been kindly offered to the class by the Royal Yacht Squadron as a special prize for this year only. Taken from the Royal Collection, it is rather large and dates from 1923. However, the fortunate winner must leave the trophy with the Squadron. Artemis XIV showed a clean pair of heels to the fleet in the first race of the day, a further confidence boost as Nergaard tries to secure his tenth world title next week. However, it was to no avail beyond further practice as New Moon, BAH 21, (Mark Holowesko, Christoph Burger, Peter Vlasov) put overall victory beyond doubt with a second and a first to add to their two race wins from Friday. Feng Shui, NED 26, (Arend Jan Pasman, Ron Azier, Kim Chabani) took second overall with Black & White, SUI 219, (Daniel Schenher, Mark Dangel, Anthony Shanks) in third. 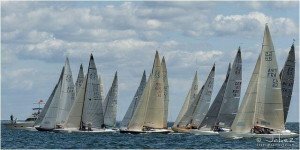 Carabella, ITA 73, (Alfredo Delli, Gianluca Marolli, Claudio Mazzanti) added a fourth race win in the classic fleet racing for the Royal Kaag Classic Cup, to take the overall victory. It is the ninth time Carabella has won this cup, which was first sailed for in 1999. 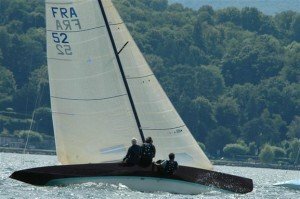 Carabella is a Briton Chance design, built in 1968 in Pittwater, Australia, and won the world championship in 1970. 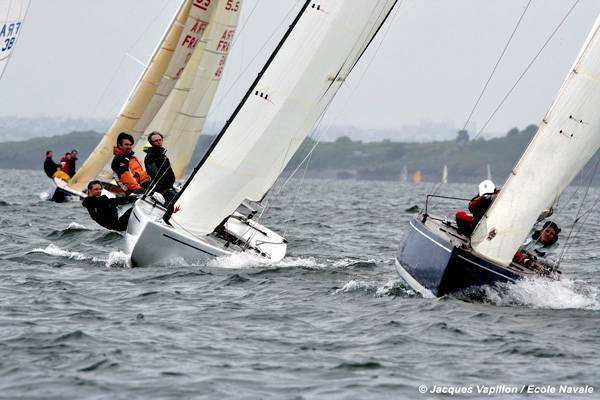 In the Hankø Evolution Cup, donated by the Norwegian Class Association in 2009, it has been a battle all week between Joker, FRA 50, (Eric Polaillon, Adrien Polaillon, Antoine le Foyer de Costil) and Auguste 1er, FRA 47, (Gurvan Jaouen, Anne Jaouen, Mael Duigou). Auguste 1er took the first race of the day before Joker claimed her third win in the final race. The fleet now has a day off before the 70th world championship begins on Monday. So far this year, victories have gone to Artemis XIV (Alpen Cup),Marie-Françoise XIX (Swiss Italian Open) and New Moon (German Dutch Open). There is little doubt these are the favourites next week, along with the defending champion, John B, BAH 22, (Gavin McKinney, Lars Horn-Johannessen, Mathias Dahlman). 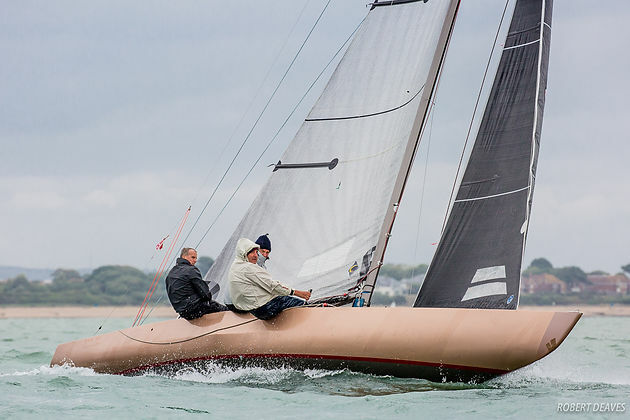 There are 26 boats entered from 10 countries, so the battle for the world title will fittingly be the toughest test of the year, and it will no doubt be firece. There are nine races planned from Monday to Friday, with the opening race scheduled at 14.00 on Monday.